Johannesburg has a unique meteorological phenomenon. I don’t know if there is a technical name for it. Jon called it “After-the-Rain”. After-the-Rain happens the day after an overnight rain storm. The rains thunder through, clearing the dust and pollution from the atmosphere. The next day the sky is piercing, neon blue and full of cottony clouds. The clouds float across the sky in 3D and pile up along the horizon, layer over layer. Sometimes After-the-Rain only lasts for a couple of hours in the morning. Other times it holds on for an entire day. Today is one of those times. Today is strange. There were many things on my agenda; I planned to be busy for the whole day. But somehow all the plans fell through and I’ve spent the day staring at the sky. 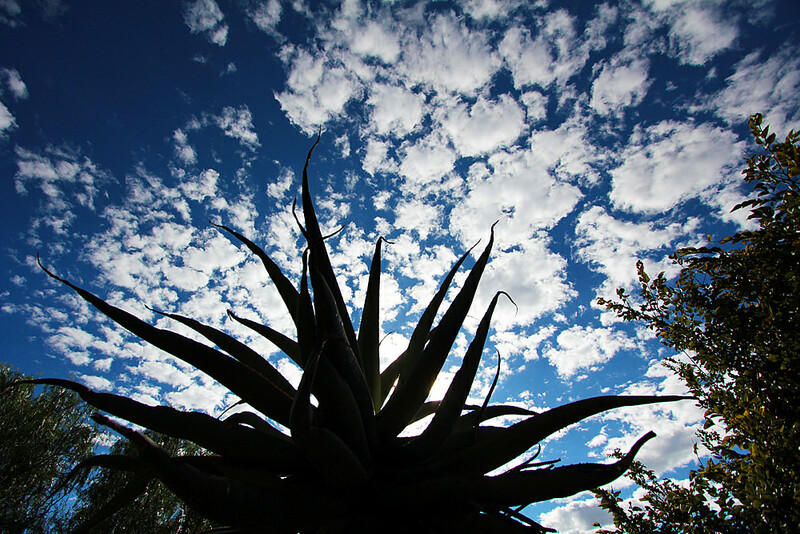 Clouds behind an aloe tree next to the Lucky 5 Star. The other day I was talking to my friend Martina, a Joburg expat from the U.K., about South African skies. On a regular basis, we are both struck by the intense beauty of the skies here. Are they actually more beautiful than the skies in our home countries? Or is there something about living here that makes us notice them more? I’m not sure if the skies are actually prettier here than in the rest of the world. But they are definitely sharper, stronger, more intense. Just like life. I wish I could explain the way this After-the-Rain sky is making me feel today. My chest is tight — it’s filled with brightness. I sat on the deck earlier and watched a pair of paradise flycatchers flit around the garden. Paradise flycatchers are tiny, intensely beautiful birds. They dive-bomb through the air chasing flies, moving so fast that all I can see is a blur of golden brown and robin’s egg blue. This pair of flycatchers lives in the garden every summer, before migrating north for the winter. Jon and I spent hours watching them last year. As I watched the flycatchers today, with the After-the-Rain sky in the background, a light flashed in the back of my head. Jon’s dead. He won’t sit here and watch flycatchers anymore. I’m here, sitting on this deck in Melville, on the earth. Jon isn’t here, and he never will be again. I lost my breath for a moment. It’s amazing how I keep forgetting and remembering, over and over and over. It’s hard to remember that Jon died. Sometimes I worry that I harp on grief too much in my blog. I’m afraid it might freak people out or come across as self-serving. But I feel like I have to. I didn’t know what grief looked like before Jon died. Now I stare at grief every day, and it’s a bewildering sight. I feel a constant need to examine it from every angle and try to put it into words. Putting my grief into words makes it real. Maybe other people who are staring at grief will read this. Maybe it will help. Beautiful post Heather, and beautiful skies, I really get you about life being so intense here in Africa – I missed it so when I was away and I appreciate it everyday since i have been back. Your grief is real and so much part of your life right now – it is only natural to share it on your blog. My heart breaks for you and i do keep coming back to read about you and your process of moving through the pain. isn’t it amazing that one can still see such beauty and feel the intensity while still caught up in the grieving process? – maybe even more so? Yes. More so, definitely. At least for me. This is a wonderful post. I love Jon’s term for that particular weather phenomenon. I understand completely what you say about writing about your grief making it real. I’m of the opinion that if you worry too much about what readers think, a blog ceases to be your space, so you should think of your readers sometimes, but think of yourself and what you want to write the rest of the time. Thanks Casey. That is really good blogging advice. I appreciate it and will try my best to follow it! Is “bokeh” the term you were looking for? Enjoy your paradise flycatchers – they could be you and Jon in another dimension, living it – and loving it. They are such beautiful birds – it would be a fitting match up. YES! That’s it. Thank you, thank you. I kept taking pictures of the sky today too. Just haven’t gotten around to sorting them yet. yes, there is no doubt in my mind that African skies are prettier than all the rest. I have an entire folder full just of sky pictures. 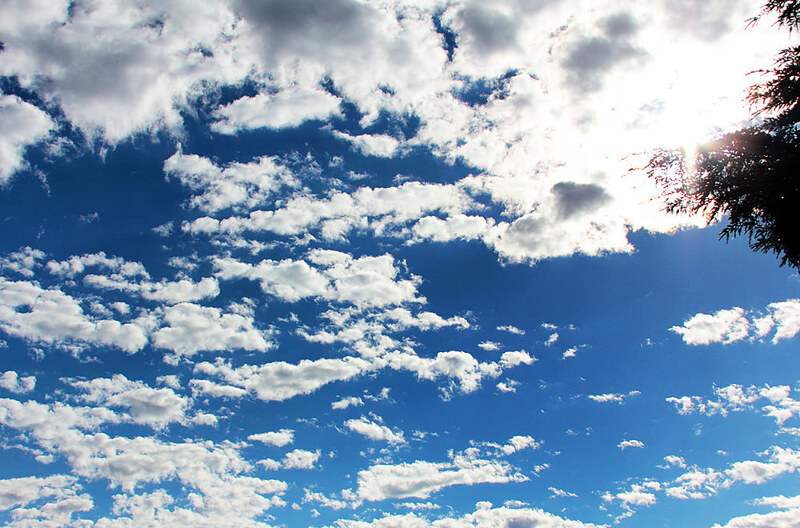 I also remember what you said about Jon liking clouds, so I’m sure somehow he was with you today. Thanks Sine. Yes, Jon would have loved the clouds today, for sure. Hopefully he saw them somehow. Thanks Hayley. They were hard to miss today. And it’s still a stunning evening, too. Beautiful post. You must talk about your grief and share it. It would not seem right if you didn’t and yes you can help others and yourself by writing about your deep sadness. Life is brutal and not always easy. Thanks for sharing and please don’t ever feel like you are burdening others. Take care and write more about Jon. Remember him through your words and share him with others. That is what the power of words is all about. Thanks Nicole. This is a lovely comment. Beautiul…. and how incredibly symbolic “after the rain” feels…. I imagine it to be the metaphor for surfacing through the grief. I am so glad you are processing the grief, allowing your self to express this is so important in the process. Share it here…we are with you and I am certain it is helping someone, likely many more than you even know. Take care. Thanks so much, Jennifer. It’s funny…When I took these photos today, I didn’t realize what my post would be about. But it is a very fitting metaphor. Very unique shots. Love them. Thinking of you. Agree with comments, keep writing, and may the rainbow after the rain soon appear. It is a beautiful post in both pics and words. May I remind you that a blog is also a public diary and therefore the private grief or joy will always have their parts to play. 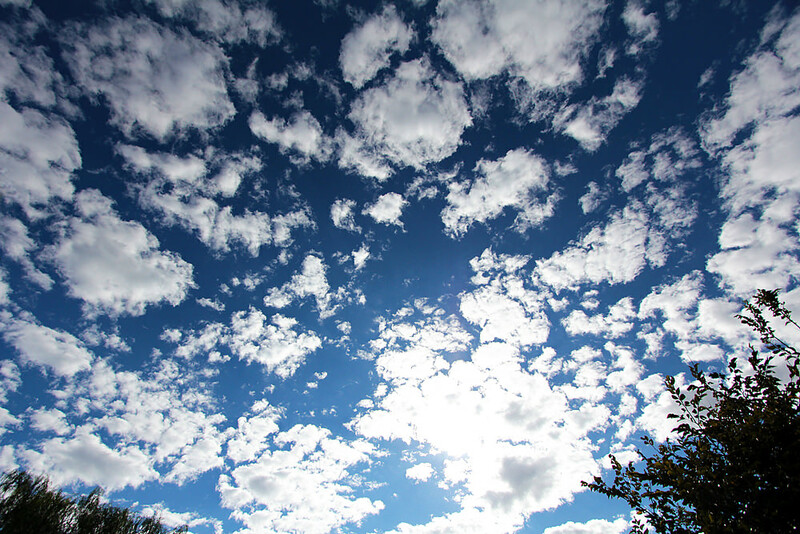 The Highveld skies are something special to behold for scientific reasons. I’m not quite sure what they are but they are there. Something with the altitude and pollution I guess. Thanks Chuck. We need a South African meteorologist to help us out. Don’t you know one? Reblogged this on MAKING BRIDGES. 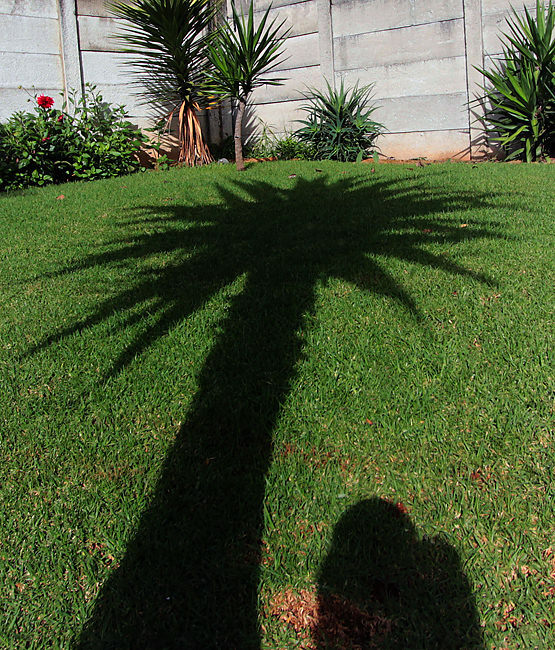 Lovely…who knew that Jozi had a particular phenomenon like that? I’m dealing with the loss of a friend right now, and this helped in a small way. Thanks. Thanks Heather. I’m very sorry about your friend and I’m glad this helped somehow. Grieving has no rules. That’s the only good thing about it. You need to write a book Heather. This such a beautiful post, Heather. It’s important to grieve. It’s important to share grief. Those skies are stunning, my friend! I like your courage to express what you feel in your innermost part. Your sky is beautiful and your words you paint with more colors beautiful. Thanks! I am proud of that one, too. Grief is different – and yet the same – for everyone. If you need to talk and write about Jon, you should. Those people who don’t like it should leave. You are not going to get over him in five minutes or five weeks or five months: he was a huge part of your life. You are not self-serving, you are coping and surviving. You don’t need permission to mourn. It’s okay. Thanks Linda. I don’t know why I feel uncomfortable writing about it sometimes. Probably my own hang-ups, not anyone else’s. Anyway, thanks for the reassurance. I take lots of photos of skies too!! We have some very intense skies in Australia too, and here in Italy they can be so, so beautiful. We often have morning storms rumbling through our mountains, which is pretty spectacular. I can imagine! The skies in your photos are amazing. 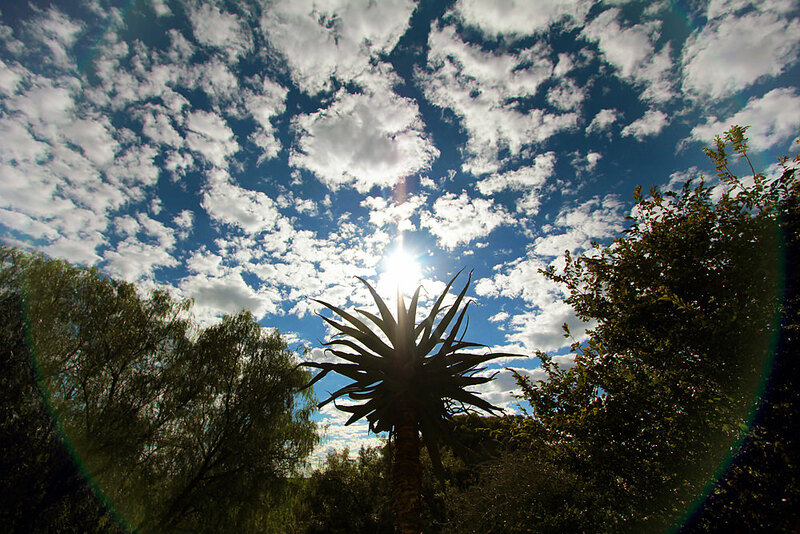 I’ve just got back from a “flying” visit to SA – the skies are definitely bigger and brighter there – and we were fortunate to experience some of these “after the rain” skies during our visit. Grieving is a process – allow yourself to grieve – it’s important – and this is YOUR blog and you need to be free to be YOU in whatever way you are at the time. Thanks! I almost missed your comment — it went to my spam folder for some reason. Weird. Glad you enjoyed your visit to SA. Wow, please tell me how you got the sun dog effect like that? I can never get the full halo. Amazing shot. I love shooting prior to and after the rain. The skies may not be their bluest hue, but colors really pop and b&w pictures show a great deal of contrast. Hi Fidel, to be honest I’m not sure! It just happened. I was shooting aperture priority, about f6.0 I think, and 250 ISO. Also I dodged the ring a little bit in Photoshop to make it stand out a little more.